Apple today re-issued iOS 9.2.1 to fix the "Error 53" that had crippled iPhones whose owners had replaced some parts themselves or had a third-party shop do repairs. The new iOS 9.2.1 will only be served to users who update their iPhones through iTunes on a Mac or Windows PC. Most iPhone owners retrieve updates over the air using their cellular connection, and so will not receive the replacement. Error 53 appeared on iPhone 6, 6S, 6 Plus and 6S Plus devices after a do-it-yourself or third-party repair job replaced the Home button -- which includes the Touch ID fingerprint-scanning authentication sensor -- the connecting cable, and sometimes the screen. Once the error appeared, the iPhone was "bricked," or rendered unusable. Reports of Error 53 sparked indignation among some iPhone owners and was criticized by Kyle Wiens, the founder of iFixit.com, who saw it as a threat to do-it-yourself repairs. "Owners have the right to repair their products and get them repaired by technicians they trust," Wiens said in an email to Computerworld last week. It also caught the eyes of attorneys. A week ago, a Seattle law firm sued Apple on behalf of five plaintiffs, and asked a federal judge to assign the case class-action status. In a statement today, Apple apologized for bricking customers' iPhones. "Today, Apple released a software update that allows customers who have encountered this error message to successfully restore their device using iTunes on a Mac or PC," an Apple spokesperson confirmed in an email. "We apologize for any inconvenience." Apple will reimburse customers who paid for a new iPhone after being told the company would not repair it. Those customers are to contact AppleCare, the company's support arm. The Cupertino, Calif. company also subtly changed its description of the mechanism behind Error 53. Last week, Apple said that the error message was "the result of security checks designed to protect our customers. iOS checks that the Touch ID sensor in your iPhone or iPad correctly matches your device's other components. If iOS finds a mismatch, the check fails and Touch ID, including for Apple Pay use, is disabled. 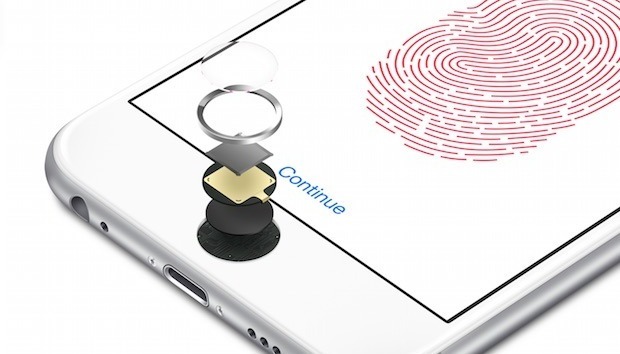 This security measure is necessary to protect your device and prevent a fraudulent Touch ID sensor from being used." Today, however, Apple narrowed the definition of the test, asserting that it "was designed to check whether Touch ID works properly before the device leaves the factory." Even so, the operating system will continue to check for mismatched components, Apple said today. If iOS does detect changed parts, it will still disable Touch ID. The difference: The iPhone as a whole should not be bricked.